The falls now 77 feet high, emerged approximately 13,000 years ago the end of the ice age. As the glaciers ice melted, the Passaic river swelled and rerouted it's way around the north end of the Watchung Mountains, carving out the spectacular falls from the basalt base. Early habitation of the surrounding falls began with the native Lenape Indians, followed by Dutch settlers in the in the 17th century. The Falls also has a place in history with the American Industrial Revolution as one of the nations first manufacturing centers that benefited from the falls water source to generate power to run mills that manufactured locomotives, guns, silk, and aircraft engines. In 1778, after visiting the Falls Alexander Hamilton, first realized the water power potential for industrial development and when he later became the country's first treasury secretary, he spearheaded the development of the nation's first planned industrial city. Two manufactures of prominence, The Rogers Locomotive Works and Colt, where the first Colt .45 revolvers were produced, benefited by the water power from the falls. 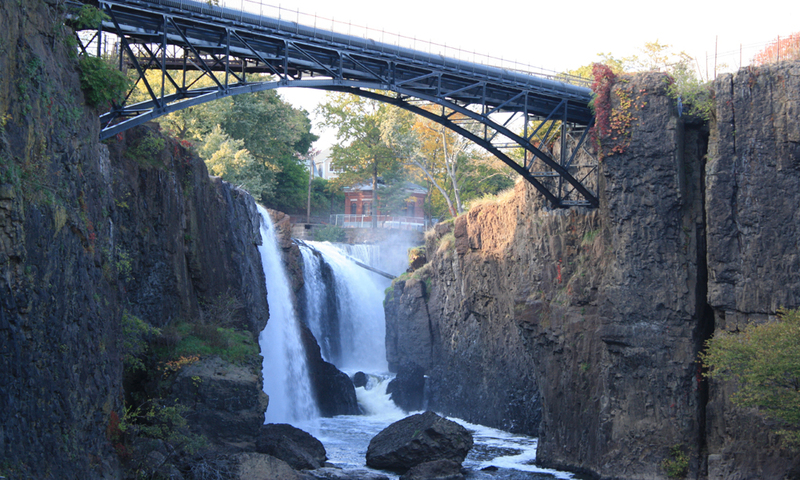 The Passaic River is prone to flooding from heavy rainfall or snow-melt, and during those periods of flooding, the Falls is at at it's best as an awesome sight with the tremendous down pouring of water cascading over the falls. In the second week of April, 2007, 8 inches of rain drenched the area and produced the"Great Flood" that flowed down the Passaic River and over the Falls. 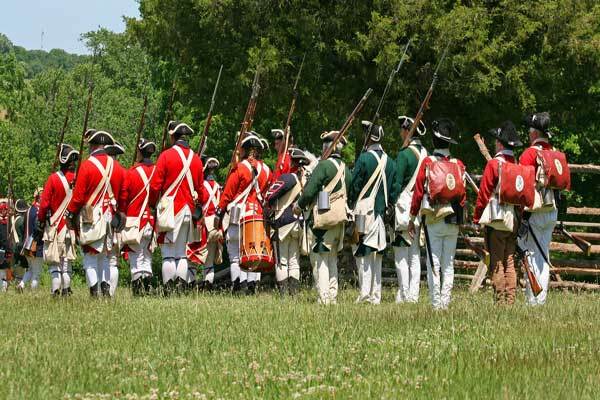 While national park status was approved by Congress 2009, it took until November 7, 2011 to make it official in a ceremony attended by representatives of the National Park Service and NJ legislatures.. The Great Falls and its surrounding 35 acres, with National Park status provides protection and increased federal funding to the park. The Falls is a natural "diamond in the rough" and the foundation of America’s economic development. A master plan or design vision has been developed for the recovery of the Great Falls, the surrounding area, and historical industrial sites, to create and orderly plan to integrate them into one spectacular new public space. This new integrated public park is intended to commemorate the Great Falls and its place in the history of the American Revolution while preserving the viewing and natural beauty of the Great Falls. The falls can best be viewed from three spots; Great Falls Lawn View, from the Great Falls bridge, and Overlook Park. Best spot to begin your tour, where the bronze statue of Alexander Hamilton stands on the viewing platform overlooking the falls. 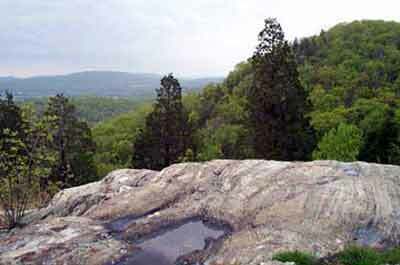 From the viewing platform, walk across the lawn to the left until you have a clear view ahead to the falls. Here you can look up the gorge to see water from the Falls cascading down the rocks below. This view takes in the hydroelectric plant on the left. 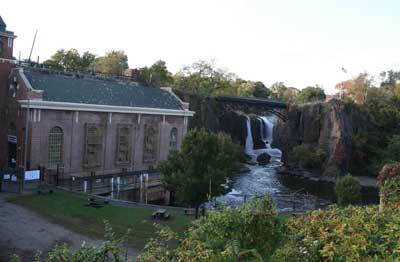 It was one of the country's first hydroelectric plants. Built in 1914, it replaced the waterwheels that had powered the industry for over a century. After viewing the falls from the Lawn View, walk back through Overlook Park to McBride Avenue, passing the hydroelectric plant on your right, staying to the right heading over the bridge that crosses above the Falls. Located across from the Falls, The Great Falls Historic District Cultural Center is a great place to learn about the history and many of the initiatives underway to develop the area. 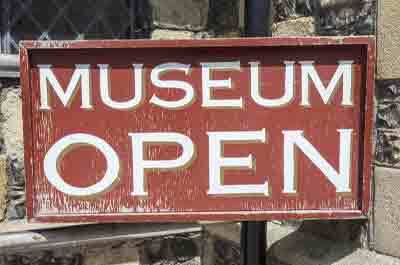 Free orientation tours are available. Plan ahead and call make a reservation in advance for the free orientation tour.